Birchbox Finishing Touch Curated Box Available Now! 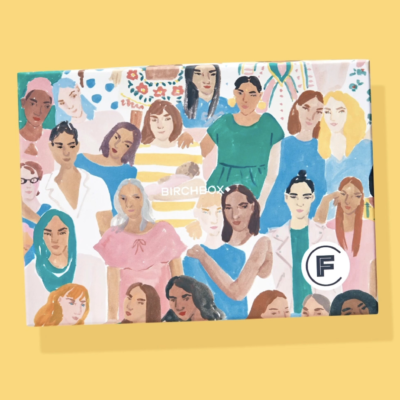 The Birchbox November 2016 Finishing Touch Curated Box is now available in the Birchbox Shop. The box is $10 for subscribers ($15 for non-subscribers). Try BBSHOP for free shipping! Whether you’re arranging flowers for a family gathering or trying out new ways to style your infinity scarf, this month is all about those extra, just-because details. The products in this month’s curated box help make that final difference: From a creamy, glides-right-on eyeliner and customer-favorite volumizing mascara, to a super-softening hair balm and a perfume that’s barely a perfume at all, we’ve got you covered with little extras that make a big impact. Coupons: Grab a freebie in the bonus shop – the bonus shop has tons of items and the matching coupon codes to use them! Add a Mystery Sample Pack before you check out with a $35+ order. New Subscriber Deal: Use code FREEFAVE at checkout to receive a travel-size Roller Lash Mascara or travel-size They’re Real! Mascara from Benefit Cosmetics with the purchase of a women’s monthly or yearly rebillable subscription. Offer available while supplies last. Your free gift will ship with your first subscription box. Please note that this code is only valid for new subscribers. Redemption of this code for existing subscribers does not guarantee receipt of these promotional items.